To say I’ve been on the edge for the last two months would probably be an understatement of my erratic schedule and mood! Between a newborn, blog, and a five year old to run after, the easiest I can do to make myself put together is spray on a nice fragrance! But to really feel good and appeasing in a scent, it must appeal to your senses and mood. After all, wearing the right perfume is an art. 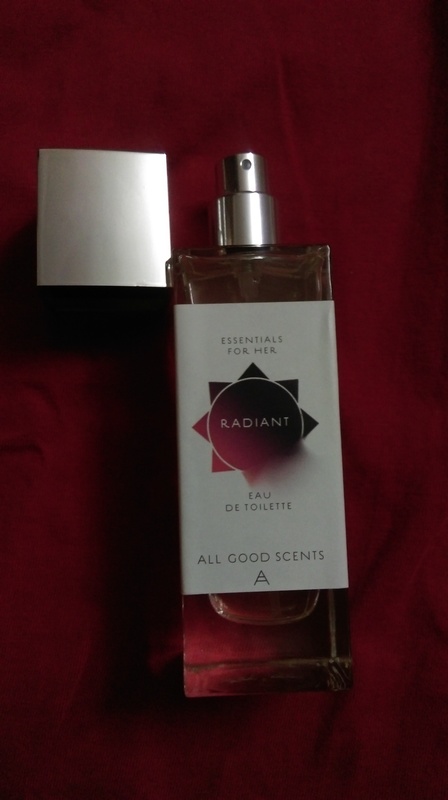 So to pep up my mood and feel relaxed and rejuvenated in my hectic routine, I am currently using the perfume, ‘Radiant’ from All Good Scents. 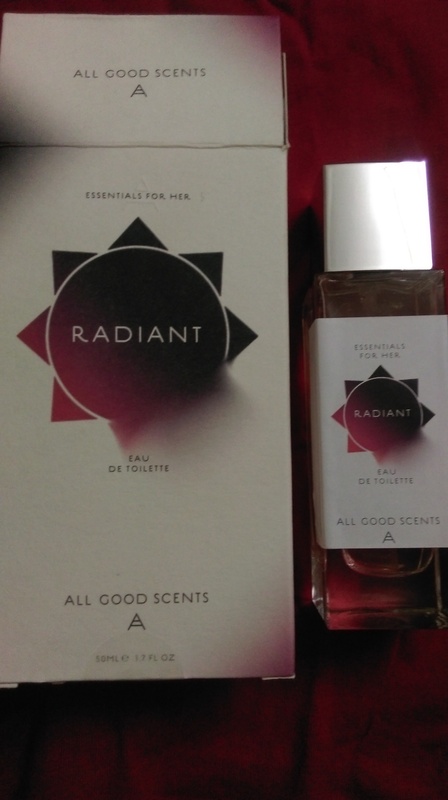 Radiant is one of the perfumes from Women Essential Range by All Good Scents. Infused with subtle notes of vanilla and white musk, the scent is designed to make you feel at the top of the world! I was first exposed to this brand, when I received a tiny sample of one their EDTs ‘Chic’ in one of my Fab bags. As per the brand, the fragrance, ‘Chic’ with notes of green apple and cedar wood is ideal for office/college wear and can lift up your mood whenever you are out shopping or hanging out with friends. True to its name, the fragrance did made me feel ‘chic”, even though I loved the tiny packaging more than the actual scent. 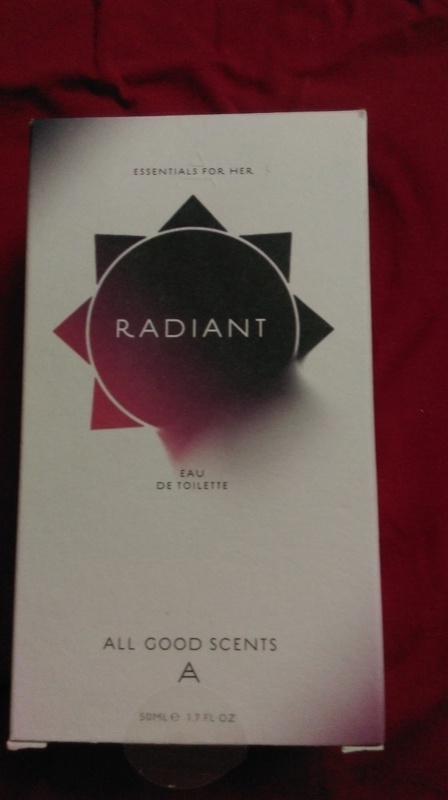 So when I received a bottle of ‘Radiant’ from the same range to try, I assumed that this fragrance too would make me feel and smell similar to ‘chic’. But one whiff of Radiant and my presumption was pleasantly proven wrong. The compelling notes of vanilla and white musk take this fragrance in a completely different direction. And on my skin, the scent begins with a strong but feminine burst of seductive musk. But there’s more to ‘Radiant’ than first impressions. After about 15-20 minutes, the top notes mellow out revealing soft notes of soothing floral and delightful vanilla. True, being a new mom, I’m certainly not seductress material but by wearing ‘Radiant’ I can look and feel like a woman again! Surprisingly, for an EDT, Radiant has an amazing staying power. Just a few spritzes in the morning are enough to carry you through all your day. As for the packaging, all four EDT variants – Flirty, Radiant, Tender and Chic from All Good Scents come neatly packed in classy glass bottles with a metallic silver cap. Overall I am thoroughly impressed with the women Essential Range of EDTs from All Good Scents. They not only smell good but also come in attractive packaging with amazing staying power. Truly, they are worth every penny of their price. And if you like floral scents with an urban edge, you must give ‘Radiant’ a try! Seems to be a great scent. Nice post!